Princess Harriet is nobody's hamster damsel in distress! 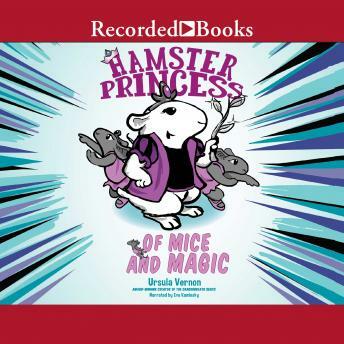 Book two of this series for Babymouse and Princess in Black fans is filled with even more action and twisted fairy tale fun Princess Harriet has absolutely no interest in brushing her hair, singing duets with woodland animals, or any other typical princess activities. So when a fairy tells a very bored Harriet about twelve mice princesses who are cursed to dance all night long, she happily accepts the quest and sets off with a poncho of invisibility and her trusty battle quail. But when she arrives at the Mouse Kingdom, she discovers there's more to the curse than meets the eye, and trying to help is dangerous business . . . even for a tough princess like Harriet. From the creator of Dragonbreath, comes a laugh-out-loud funny new comic-hybrid series, bursting with girl power and furry fairy tale retellings.